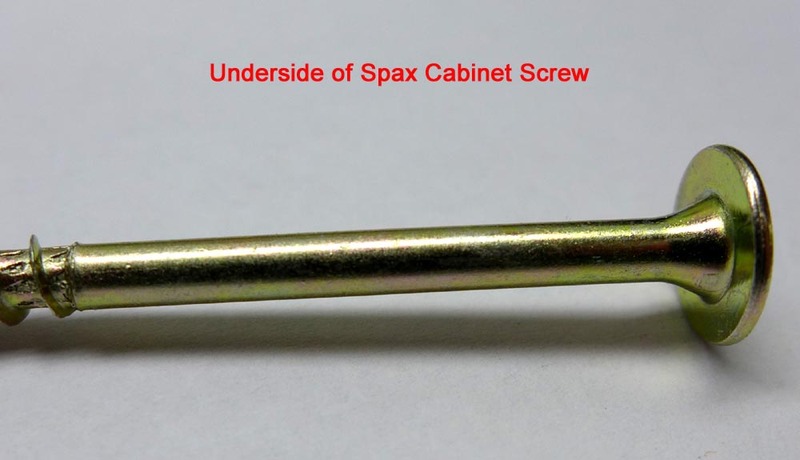 Spax Heavy Duty Torx Drive Cabinet Screws (new) - great for hanging cabinets. Large diameter head (3/8" diameter for #8 screws and 1/2" diameter for #10 screws) gives the installer increased bearing surface area to minimize fastener "pull through" issues. 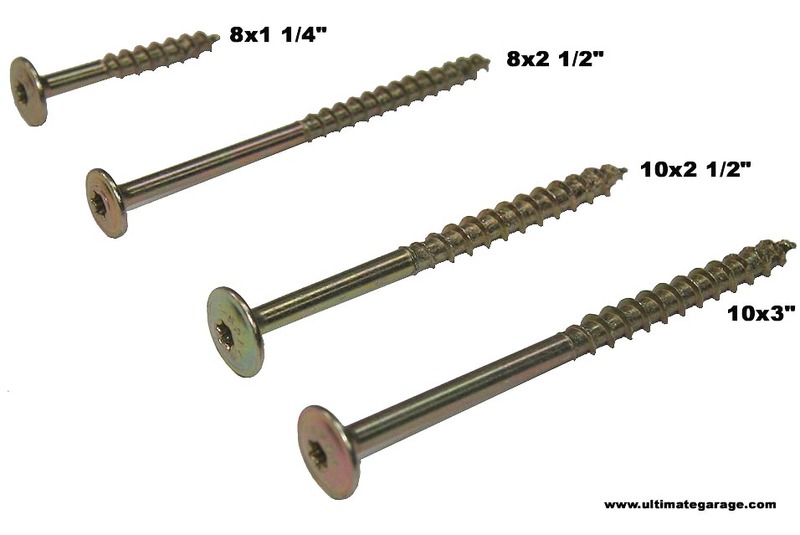 Low profile head aesthetically better than traditional pan head screws. Partial thread yellow zinc - T20 torx drive (far better than phillips or pozidriv). Made in USA by Spax. This 1 lb box has approx 140 screws.